Let's step back about twenty-five years or so. Here in America, R.E.M. are still an underground college band. In the UK, the similar underground success of bands like Echo And The Bunnymen and The Smiths have opened the floodgates for a multitude of "second-tier" acts. Among those that formed in that wake, a group called The Mighty Lemon Drops were a personal favorite of mine, and their first three albums contributed significantly to the soundtrack of my high school years. While it was clearly apparent that The Mighty Lemon Drops would not change the world, their edgy, yet accessible brand of Britpop, an "Echo And The Bunnymen-Lite" approach, still hits heavy rotation at my household every few months. When I say, therefore, that Hatcham Social reminds me of The Mighty Lemon Drops, who, in turn, reminded me of Echo And The Bunnymen, it's not a back-handed dismissal, but a genuine compliment. Hatcham Social, a four-piece London act consisting of Toby Kidd (guitar/vocals), Finn Kidd (drums), David Fineberg (bass) and Jerome Watson (synth/guitar), emerged in 2006 and quickly earned the attention of now elder statesmen, such as Alan McGee, owner of Creation Records, and Tim Burgess of The Charlatans UK. Tim Burgess is part of the production team that helms Hatcham Social's You Dig The Tunnel, I'll Hide The Soil, a full-length debut that assembles the band's refreshingly innocuous pop hooks into a cohesive package. Slices of Echo And The Bunnymen, Josef K, Orange Juice, The Fall, The Jesus And Mary Chain, and others all appear in the fold, but, underneath it all, Hatcham Social push the pop sensibility envelope close to the mass-appeal of classic Britpop (The Kinks) in the same way that The Mighty Lemon Drops did. The band will likely never be hugely famous, but their catchy hooks carry them comfortably on the top reaches of under the radar or, as Peter Buck of R.E.M. once stated, "the acceptable edge of the unacceptable stuff". 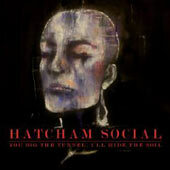 Hatcham Social kick off You Dig The Tunnel, I'll Hide The Soil with Crocodile, a jangly guitar track that unapologetically wears the band's influences on its sleeve and even bears the same title as the first Echo And The Bunnymen album. My favorite song on the album, Sidewalk, follows with a Joy Division bass line that quickly segues into a guitar-distorted masterwork in the vein of Catherine Wheel or Lush. Murder In The Dark could have fit in quite well on Josef K's recent career compilation. Mimicry, another personal favorite, is laced with enough angular guitar to put a smile on the face of any Interpol fan. The band's lead single from this album in the UK, So Happy Making Music, veers dangerously close to twee territory, but manages to stay grounded in Britpop guitar bliss. Hatcham Social are opening for Echo And The Bunnymen on their upcoming U.S. tour and this is probably the most astute way to introduce the band to American audiences. Echo And The Bunnymen, a classic British "new psychedelica" act, supported by Hatcham Social, a new band that appeals to the nostalgia of the former without blatant copy/paste imitation, is a scenario where everybody wins. Both bands play at The Masquerade here in Atlanta on November 15, 2009.